The training gave me a good platform to understand the principles of SAFe with exercises to identify the organizational problems and how SAFe could be rolled out in different circumstances. This course was beneficial and valuable for professionals like me who wanted to enhance their knowledge in managing projects. It even helped me expand my networking as I got to meet many professionals from various industries. Raleigh in North Carolina is also known as the "City of Oaks". Many companies belonging to bio-sciences, information technology, banking and financial services are located here. The courses in CSD certification will put the careers of the IT professionals on a fast track. After you finish the CSD training in Raleigh, you will be able to set up standards and best practices for quality software. This course will be delivered by tutors who have extensive industry experience. The trainees will get free access to the online coursework for 100 days. Once the course is complete, each individual gets a two-year membership of the Scrum Alliance. The syllabus of the Certified Scrum Developer certification in Raleigh would cover topics like introduction to CSD, discussion on Agile architecture and design, solid design principles, design patterns, anti-patterns, code example on solid design principles etc. 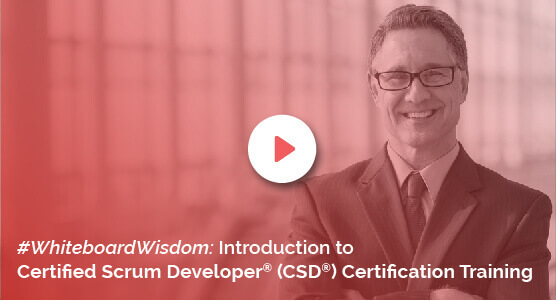 The CSD course in Raleigh will teach you how to apply the fundamentals of Scrum. It will also help you practice just-in-time development and avoid overdesign. This course will also teach you how to collaborate with other programming teams and learn to create software that runs on iterative processes. The CSD training in Raleigh teaches you how to support collaborative code ownership and learn writing extensible software by using object-oriented techniques. KnowledgeHut is a recognized education partner of Scrum Alliance; hence its credibility cannot be questioned. The institute provides Certified Scrum Developer training in Raleigh at a very nominal fee and has made it extremely easy for interested candidates to apply online for the course.